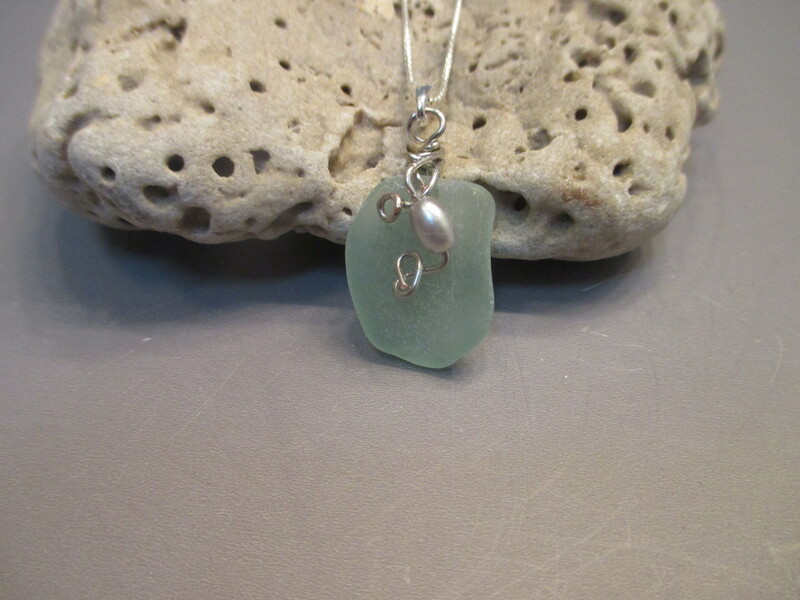 This pretty necklace has a piece of real sea foam green sea glass from a beach in St. Croix. I have added a simple wire design with a tiny gray pearl bead. The pendant is about 1 5/8" long and will come with a 20" sterling silver chain.